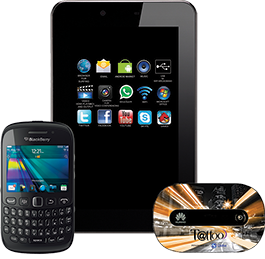 Get 3 gadgets in one plan only from Globe Tattoo, with your 1298 pesos per month you can have a Skyworth S73 tablet, Blackberry Curve 9220 and Mobile Pocket Wi-Fi free. You can browse to the internet using tablet or smartphone with the use of mobile Wi-Fi modem as it can connect up to 10 devices. Postpaid Plan 1298 comes with unlimited internet surfing so no need for you to worry about browsing charges. Not just that, you also have a free consumable that you can use for call, text and data in case you want to contact your friends and love ones. You don’t have to pay much just to own those gadgets, with Globe Tattoo postpaid it’s free and you can get more than what you pay for. This plan is under 24 months lock in period and 1 year warranty for gadgets bundled.